Celebrate the work of husband-and-wife pair Mark Steinmetz and Irina Rozovsky, both of whom are exceptional photographers. 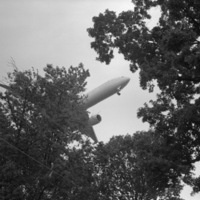 Two different people described Steinmetz’s work as “exquisite.” His photos are in the collections or have been exhibited at the Met, the Museum of Modern Art, the High Museum, the Art Institute of Chicago and many other prominent museums. A Guggenheim Fellow, he's taught photography at Harvard and Yale and has worked with groups such as former president Jimmy Carter’s Sunday School class. His work is gorgeously gathered in a dozen books of his photographs, and another is in the works. Rozovsky’s work is also held by the Met. She’s also received photo commissions from The New York Times Magazine, The New Yorker, Le Monde, Vice and others prominent media. In 2017 her work was paired in a kind of dialogue form with another photographer’s at the Met for an exhibition called “Talking Pictures: Camera-Phone Conversations Between Artists,” and that show — where 60 of her photos were exhibited— was written up in The New York Times. She teaches at the University of Georgia. $15 for Friends of WUGA and $20 for nonmembers. Friends memberships are $30 or more annually.